Factory Five 818 is the 'world' car with hard top and street power! Factory Five 818 is the ‘world’ car with hard top and street power! 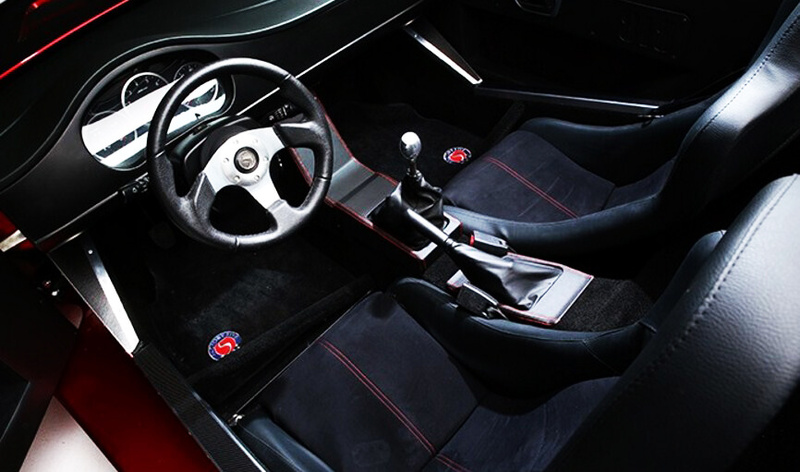 Factory Five 818 became an instant hit, back when it was initially introduced. Of course, to stay on top of the game, you need to take some unfamiliar avenues here and there. That’s why Factory Five has introduced the 818S and R models, which the world also welcomed ecstatically. They featured many parts from a Suvbaru WRX. The folks at Factory Five just spend a lot of happy hours working on what’s going to be next and it usually was something that stunned anyone who would see it. Well, a year and so ago, Factory Five decided to update the famous Factory Five 818. They added an optional hardtop and updated the front of the car to look meaner and cooler. Then, at the 2015 SEMA we saw the Factory Five 818 painted in Sinister Black. 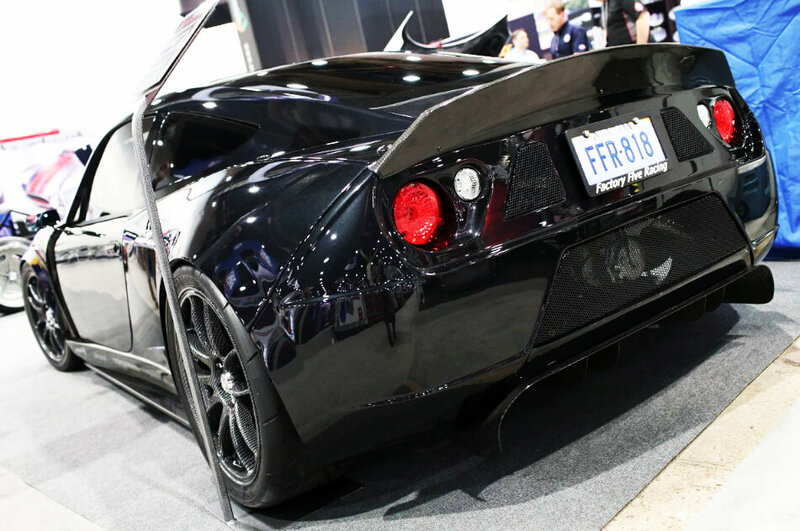 In addition, it featured carbon fiber parts that the company offers. It turns out that the boys at Factory Five spent their whole summer being productive and imaginative. They used Solidworks CAD technology to test, design and produce all aspects of the Factory Five 818. Further, they also use leading-edge technology in designing the molds and tools and new technology in forming of composite body panels. That all results in a no-paint finish. The Factory Five 818 is a ‘world’ car, or at least that’s what Factory Five had in mind when building it. They designed the Factory Five 818 so it can be modified throughout the world. You can find everything that the Factory Five 818 features in most countries around the globe. Though, the Factory Five 818 is still as unique and sleek as it gets. We’re sure that the fans will love this particular design. The Factory Five is actually a fixed roof coupe that can hit both the streets and the races. In addition, there is option for Ford EcoBoost power. This car is pretty light, 818 kg. to be precise. How did you think they have come up with the name, anyway? Jessica Barton catches up with the boys to discuss the 818’s evolution – check it out! 1965 Shelby Daytona Cobra Coupe, the most expensive American car sold at auction! Say Hello to Jumpy, the skateboarding doggy!